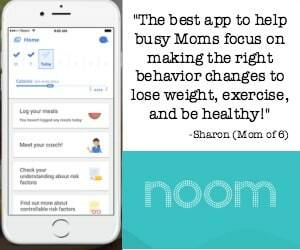 As busy Moms, we all use some sort of a to-do list “system”- whether you write out a big long list on a piece of paper or maybe you keep your to-do list on an app. 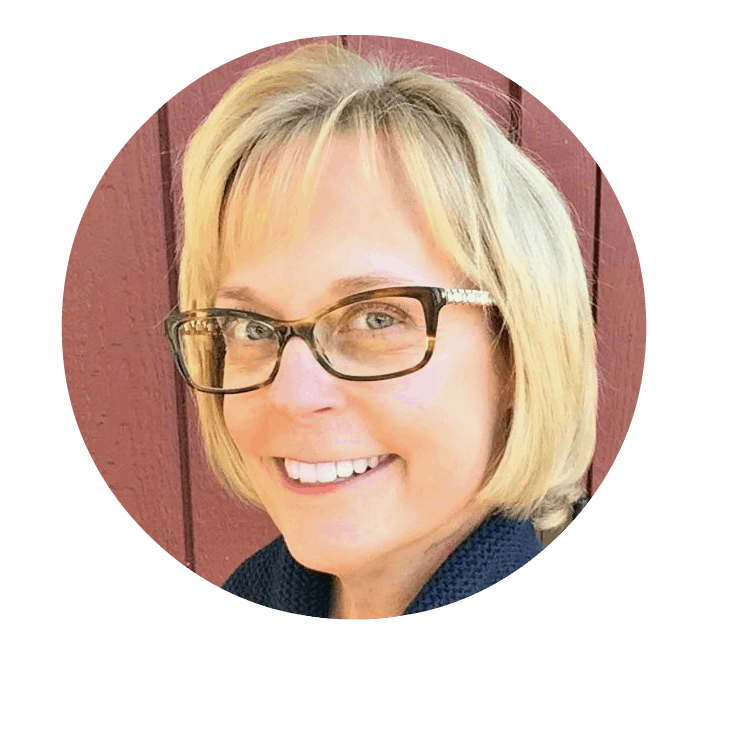 But one of the methods that I have found to be the most effective is to have my to-do list integrated with my electronic calendar- so that everything is in one place. 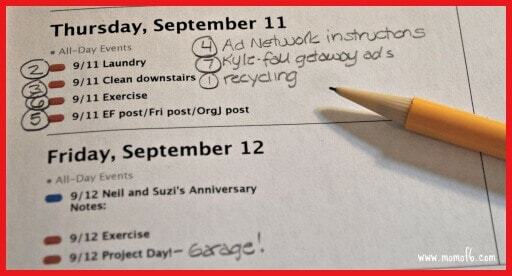 Putting your to do list in your calendar is a fantastic way to get organized! Not a fan of electronic calendars? Are you looking for the right paper calendar or planner system for your busy life? 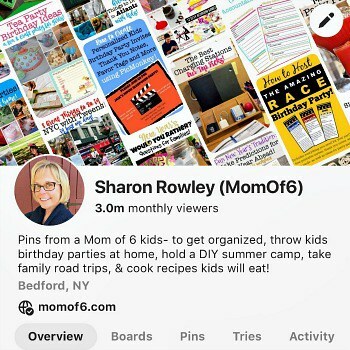 Then be sure to check out my favorite calendars and planners This is an affiliate link: MomOf6 earns a commission if you purchase, at no additional cost to you. 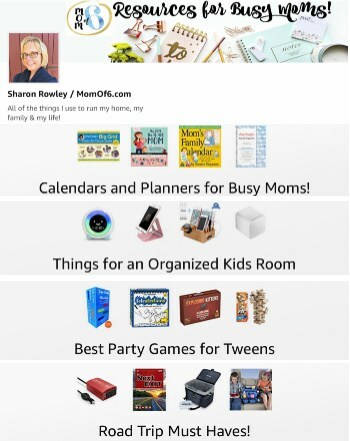 for busy Moms over on my Amazon influencer page! 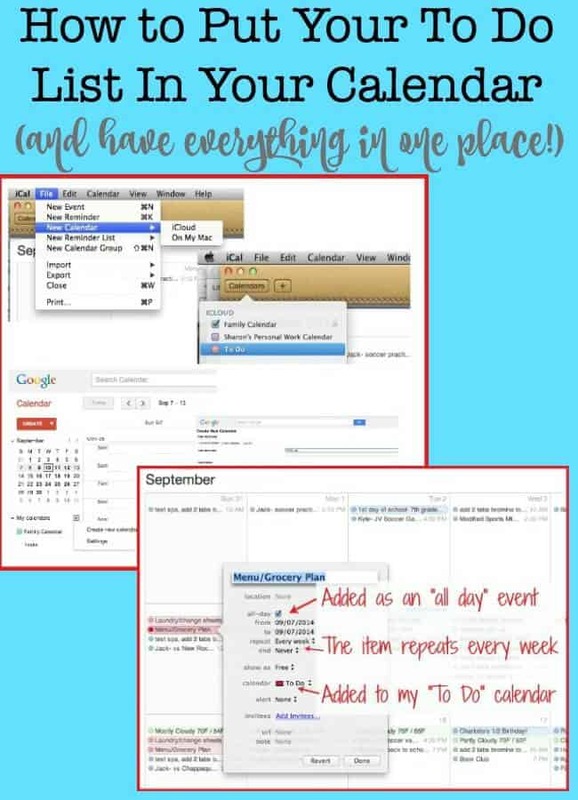 Whether you are a Google Calendar or an Apple Calendar user, you have the ability to create multiple calendars within your system. If you are already using one of these electronic calendars, chances are all of your appointments are all loaded into one calendar and assigned one color. Today we are going to add a second calendar to your system. 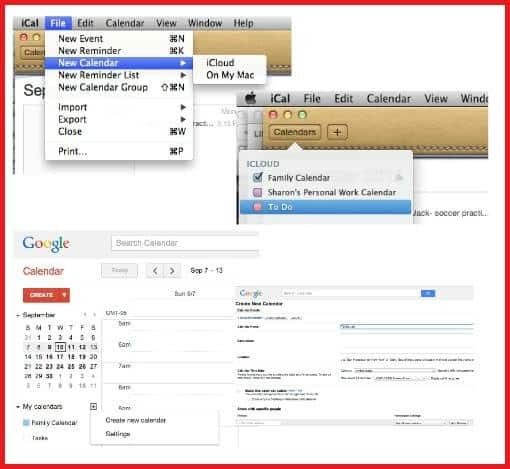 In Google Calendar, go to My Calendars on the left side of the page, click the down arrow and select “Create a New Calendar”, and if you are in Apple Calendar, go to File, New Calendar, and select where you want the calendar to be stored (iCloud). Name your new calendar “To Do List” and give it a different color so it will be visibly different than the calendar you use for appointments, etc. 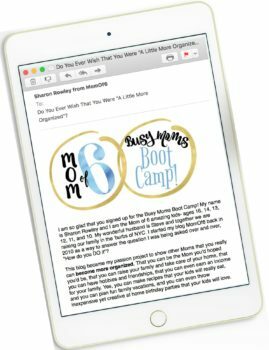 Now if you share your family calendar with your significant other or your kids, this new “to do list calendar” is one that you probably don't want to share with them- unless you are trying to make a point of how much you do! Brainstorm all of those chores that you do each week and get them in here. Make sure to add exercise “events” 4-6 days a week too! Arrrggghh! Once you start adding all of these things onto your calendar, it looks messy and overwhelming, doesn't it? And you are picturing yourself standing at the doctor's office trying to schedule an appointment and having to scroll through a long list of chores on your schedule, aren't you? Well, it doesn't have to look like this! When looking at a monthly view of your calendar- you can hide your “to do items from showing. In Google Calendar, simply click on your “To Do List” calendar, and hide it from the display. In Apple Calendar, click the calendar button at the top and then uncheck “To Do List”. Don't worry- all of your information is still there- it's just not cluttering up your monthly view! 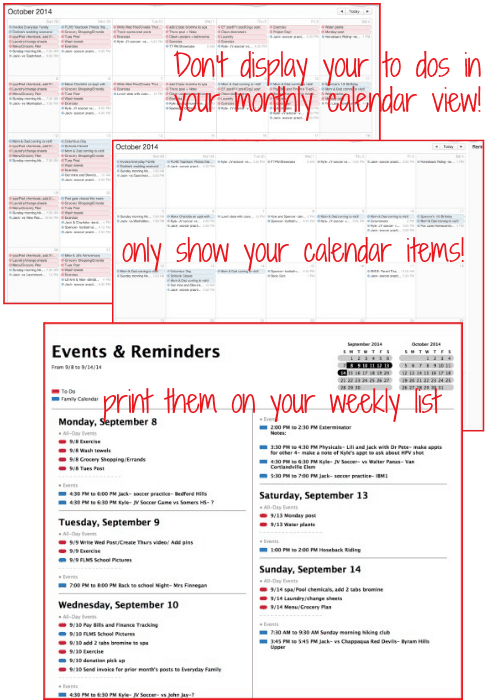 But when printing your calendar in a weekly list format (I do this in Apple Calendar)- this is when you want to include your To Do list calendar as well as your appointments. Now you can see everything in one place! On Sundays I like to print my weekly calendar for the week ahead and sit down and review my appointments and to do list items, penciling in additional to-dos onto my calendar where needed. Then each day- usually in the morning while eating breakfast, I'll look at what I need to accomplish during that day, and I'll assign a number to each item so I can stay on task and (attempt) to get it done. Of course- nothing beats the satisfaction of crossing the items off of the list! What About That Long List of Stuff I Hope to Someday Get To? That kind of stuff… a long-running to do list of all of the things around the house or items for the blog that I hope to eventually accomplish go on a “master to do list”. I have tried apps for managing my master to-do list, and even keeping them in fancy notebooks, but what I really love best is just a good old-fashioned college-ruled pad of paper and pencil. It's just how I think best! Want to See All of This in Action? 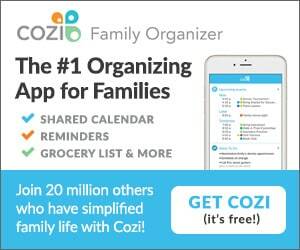 Looking for the best tools to help you manage your busy life? What do you think? 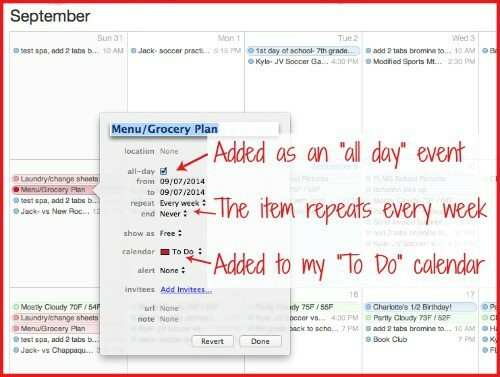 Could getting your to-do list in your calendar help you to stay more organized? Please leave me a comment and let me know if you're willing to try it! « Star Wars Party Ideas for Tweens!